As we have often said, Blackjack is a very popular online and table game, with many people enjoying this game across the globe. People often consider Poker the more popular or cooler game, due to the influence of movies, media and well advertised Poker Tournaments with celebrity players. 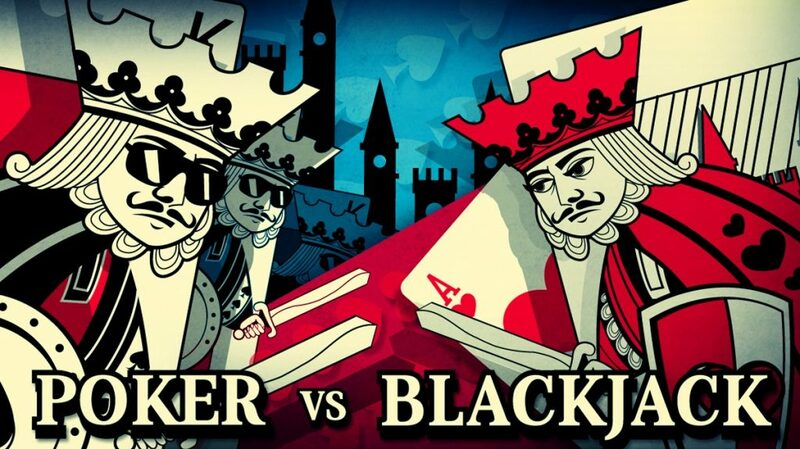 But Blackjack and Poker often get confused in the mainstream media and in the public eye, so here we discuss the differences between these two games. There may not seem like there are any obvious differences but there are. So while you are trying to up skill yourself in the excellent art of Blackjack why not practice on one of the betting sites Australia has to offer, and really get all the knowledge you could need to make a profit. When playing Poker you are up against your fellow players at the table, so if one or more of those players have better skills than you – odds are you will lose. With Blackjack you are only playing against the house (the dealer/casino) so what the other players at the table do has little to no effect on your playing or the possibility of you winning. When playing Poker, basically the only way to see if you are winning is to check the amount of chips you have (top tip – if you have no chips left it means you are doing badly). Meanwhile, with Blackjack you can actually count cards as there is a set system to track those cards at each step. This system means that you can track your progress from the first round you are in and make decisions on whether you need to up-skill more or actually are making a profit while playing. People playing Poker seem to have easier access to Casinos in general as they are competing with each other at a table and not the house. Whereas Blackjack players are competing against the house and the house doesn’t like players who win too much or became to skilled at Blackjack. They are not willing to take a continuous loss, so Blackjack players often have to find new casinos to play at in order to increase their skills. 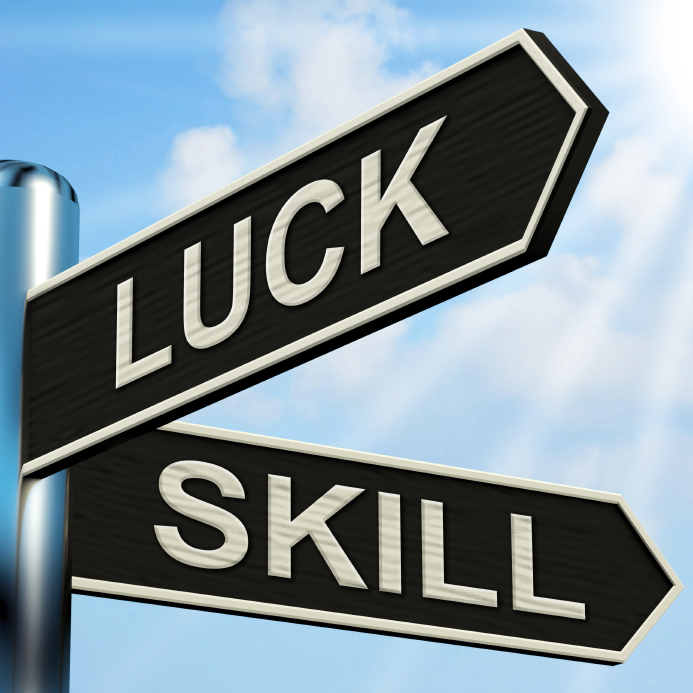 One of the general views of both Blackjack players and Poker players is that one game relies on luck while the other game relies on skill. Poker players can be highly skilled at their game but quite often the game will depend on the luck of the draw and be entirely out of your control to change the outcome of the game and the hand your dealt. While players at a Blackjack table very often rely on skill they have gained to ensure a profitable outcome from each hand they are dealt. It is also very easy to sit yourself down at a blackjack table and start playing, and this is great as you will soon start learning from your mistakes and apply those new found skills to the game. If you need to know how to play the game of Blackjack, why not check out our easy guides will get you started in no time.